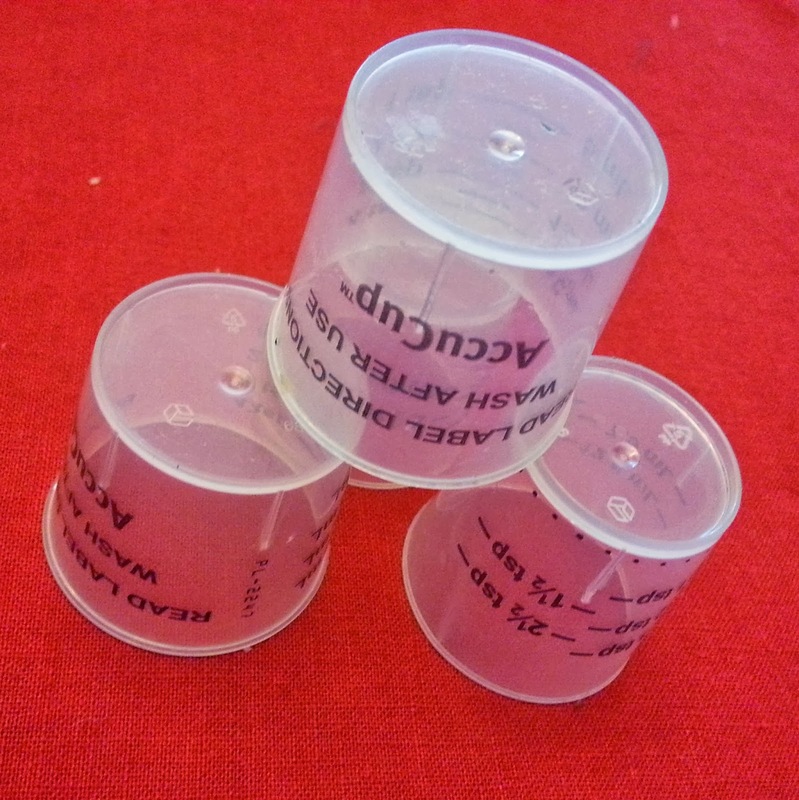 Between J and my allergies, his sleep issues, and random colds here and there, we have a lot of these little cups. There is something about me that just hates to throw things away. I probably learned it from my mother who learned it from hers. “Maybe I can make something out of it.” It drives my husband crazy. I have used them for glue, paint and water when crafting with J. But, I really wanted to make something fun out of them. I remembered an Christmas tree ornament I have of 4 glass bells on a string that gently clink together when moved and thought I could try to do the same with these plastic cups. So I drilled a small hole (1/8″ – 3/16″) in the bottom of 4 cups then decoupaged them with plain old white glue and some cut up paper holiday napkins. Then I edged them with some glitter, because every once in a while the girly girl in me comes through. To string it I tied a pony bead on one end and fed the string through the hole of one cup, then I tied another pony bead about a cup length higher on the string, fed the string through the hole of another cup, etc. etc. Pretty cool. Then I grabbed my bag of ribbons and other goodies to see what else I could come up with. I told you I can’t throw anything away. I made the hole larger (using a 5/16″ drill bit) on some of them so the cup would slide over a mini Christmas light. Some mini lights have clips on them that might mean you need a larger hole. I wanted the fit to be tight so the cup would sit on the light fixture itself (not the light, the green or white part that holds the bulb). They can either hang from the bottom like bells or sit on top. 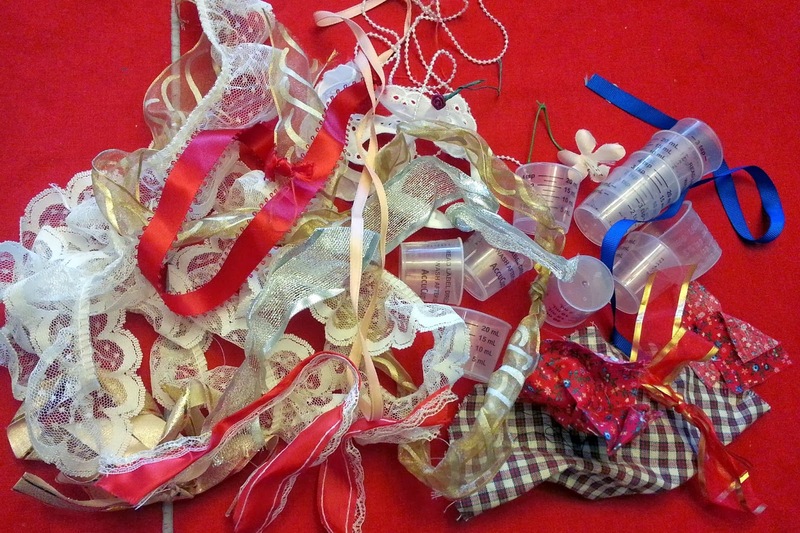 ribbon, yarn, lace, material scraps, beads, tissue paper, stickers, glitter, sequins, chenille stems, etc. 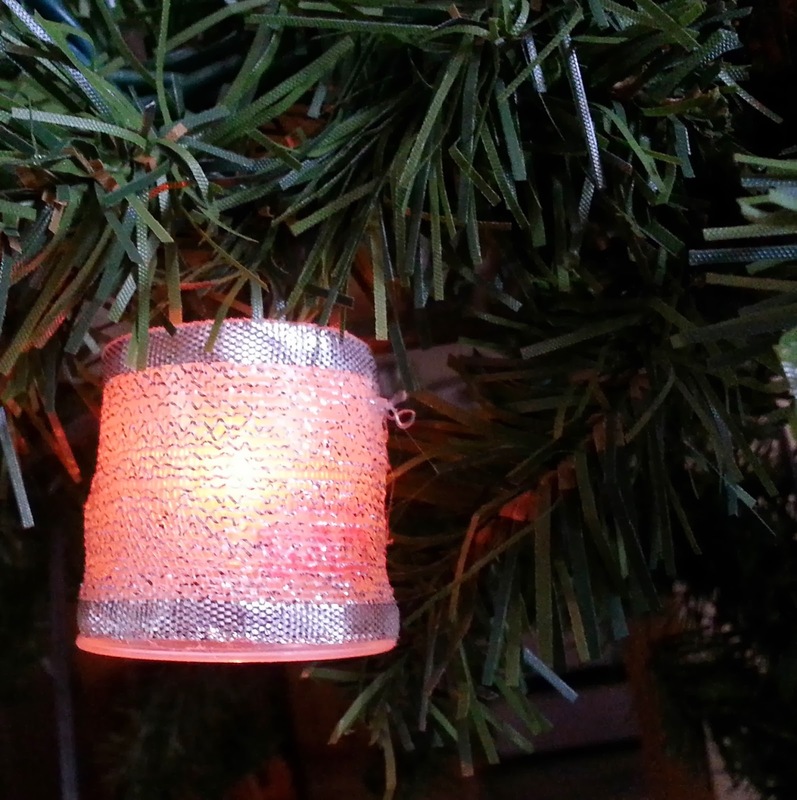 Grown up job – Turn cup upside down and drill hole in the middle, 1/8″ (to hang with ribbon or chenille stems) up to 3/8″ (to clip on to miniature Christmas lights). Or use a soldering iron to melt a hole. 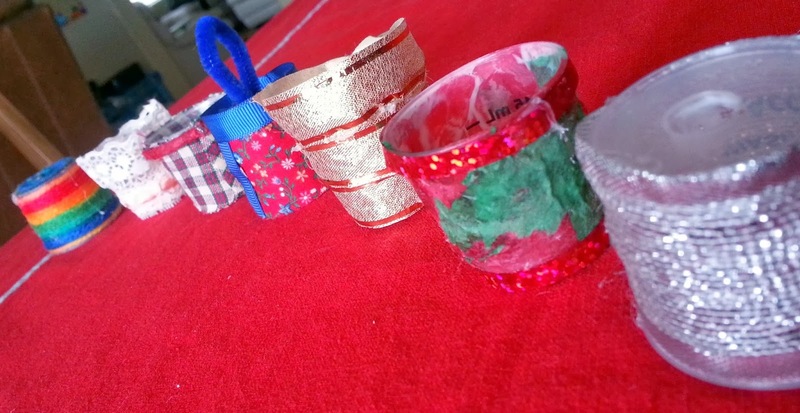 All ages – decorate, let dry, hang on the tree or wherever you want.